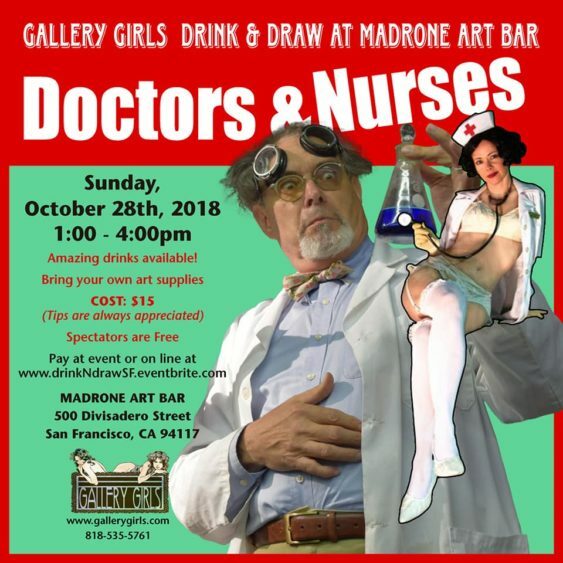 On Halloween 2018, Madrone Art Bar is hosting the “Doctors & Nurses ” Halloween theme drawing workshop and gathering from 1 pm to 4 pm on October 28th. 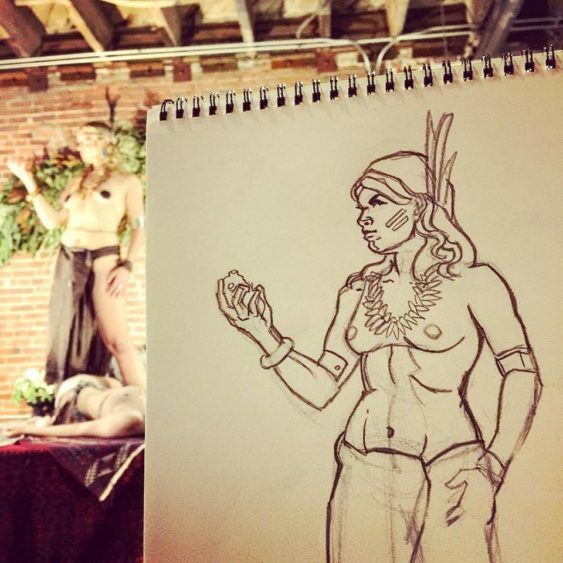 Come join the gallery girls for a special drink & draw drawing event in San Francisco. With models, Jennifer Fabos Patton, Marissa Gomez, Emily Lowe, Jonathan Cripple and Rick Galiher.